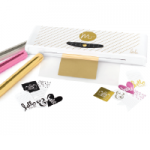 I love my Heidi Swapp MINC foil applicator. If you follow my Instagram accounts @PinkimonoGirl and @pinkimonopapers, you will see the evolution of my infatuation with my MINC foil applicator. After reading this post from DamaskLove.com about foiling, I wanted to give it a try. At the time I only had the option of a laminator to foil my work which worked okay. 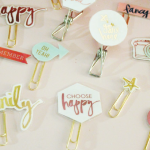 Then a few days later (as if it were destined to be for me) the announcement of the MINC Foil Applicator popped up in one of my social media feeds. SWEET! 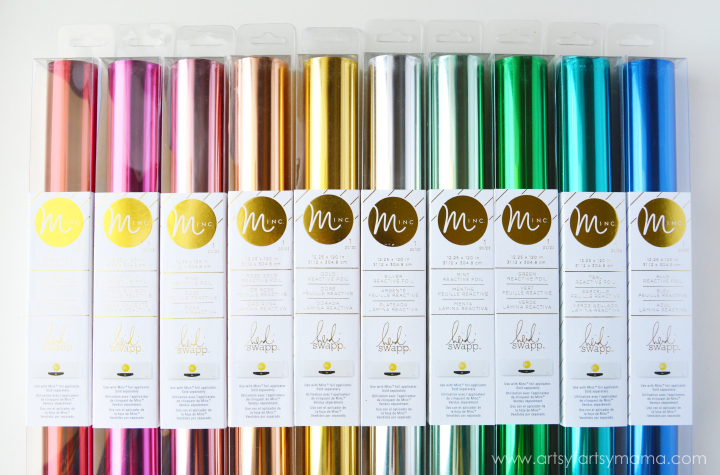 I ordered my MINC as soon as I could from JoAnn, ripped open the box upon delivery and got to foiling. And then sadness hit me – I couldn’t get consistent coverage with my foiling. *This post may contain affiliate links. That means if you click on some of the product links, I may receive commissions for purchases made through them, but at no cost to you. In doing my research about the inconsistency of my foil output I came across several complaints or frustrated posts about the tool. Here’s what I learned after buying and returning the above printers in the listed order. In order to get the best coverage and consistent foil application, you need a laser printer that deposits toner evenly. I found that monochrome printers worked the best. When I was testing the printers above, a representative at Office Depot told me that the black toner in a color printer is formulated differently than in a monochrome. The black in the color printer is designed to mix with the other colors whereas the monochrome cartridge has only one job – deposit all black toner. I’ll be honest, initially, I thought that was the dumbest thing ever. Why wouldn’t HP or Samsung just use the same black for everything? Well, I was wrong. The black ink in the color printers produced the shoddiest performance hands down. No matter which brand I used, I always had speckled foiling. If this is the effect you’re going for cool, but it wasn’t for me. So takeaway #1: Use a MONOCHROME laser printer. Second, check the paper you’re using. SO like other posters, the applicator worked beautifully with the Heidi Swapp MINC Prints or the MINC Toner Sheets. But let’s be real, nobody spent $200 on this machine to ONLY foil pre-printed designs. Most likely if you have this tool, you’re 1) probably a creative like myself and want to create original pieces or do your own things and 2) realize it gets hella expensive buying her items all the time. Don’t get me wrong, I purchased some of the pre-printed pieces and they look really cute in my house. 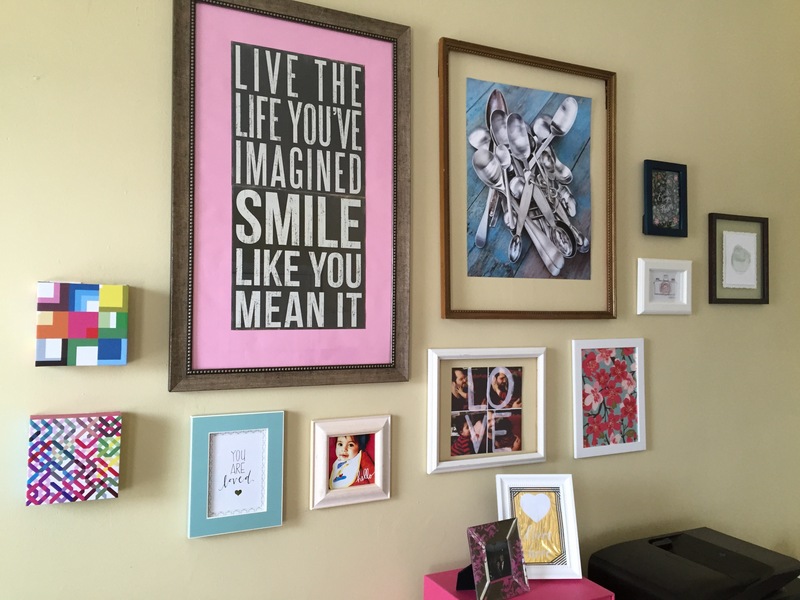 It was a nice way to add simple sweetness to my gallery wall in my living room, but I have designs of my own. 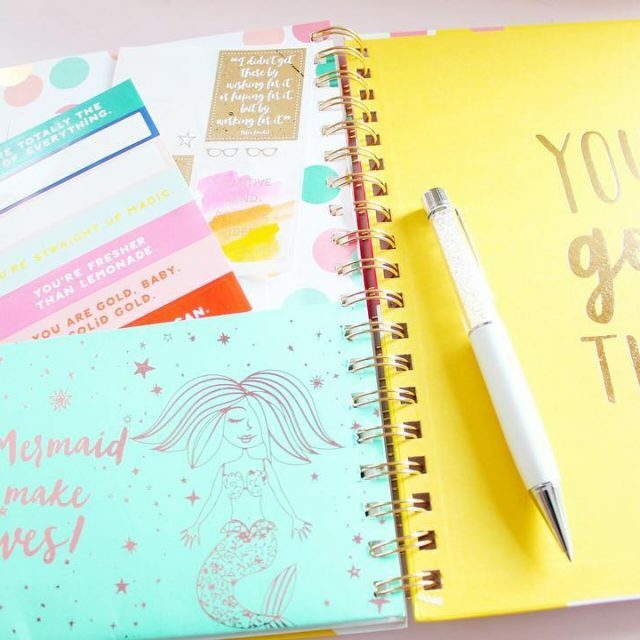 I use my applicator to create custom cards, inserts for Limelife planners and wall art. So again after being frustrated, I took a minute to dry my crafting tears (you know what I’m talking about) and just sat and thought. (Well between changing my son’s diapers, feeding the cats and cleaning up, I got to think.) And I started thinking about the paper quality. All of the Heidi Swapp pre-printed items came on a high-quality paper. Well, I’m a Paper Source girl who is seriously loyal almost to a fault to them. All of my wedding and baby shower paper goods were printed on Paper Source paper at home. I have so much of their paper I could probably start to sell it and turn a profit. I am sad to say that I had to seek foil bliss elsewhere. See, the Heidi Swapp pre-printed items came on not just high-quality paper but on a very smooth/semi-gloss coated paper. The paper at the Paper Source regardless of color isn’t smooth enough to achieve a CONSISTENT finish with the applicator. I’m not saying it can’t be done, but I don’t like to waste paper nor money. So I started to check out cardstock from Office Depot, Michaels, Wal-Mart, and Staples. What I found that worked the best was the Georgia Pacific Bright Cardstock from Wal-Mart. It is a little lighter in weight, but I got the most consistent foil with it. So takeaway #2: Use a HIGH-QUALITY SMOOTH cardstock. I sampled different papers with the Samsung Monochrome printer. Here’s the before. BEST PAPER: These holiday cards are from my shop. I made them with the Georgia Pacific Cardstock and you can see I got full coverage! Third, the quality of the foil. Here’s where I have to break up with Heidi Swapp. I am definitely a fangirl. I do love her colors. Her foil colors are gorgeous. But I think the iCraft DECO Foil from Therm O Web delivers a better and consistent finish without leaving traces of foil. (I’m finding when my MINC applicator gets too hot, it will leave traces of Heidi Swapp foil on parts of my card that I don’t want foiled.) I have tried both brands in different colors and every single time I use the iCraft foil I get a consist finish. I think the thickness of the iCraft foil allows for the smoother finish. So takeaway #3: Use a HEAVY AND HIGH-QUALITY brand of foil. So that’s it. To ensure a consistent output with your MINC foil applicator (1) use a monochrome laser printer, preferably Canon, (2) use a smooth paper, preferably coated, and (3) use a high-quality foil, preferably iCraft. And last, the bonus takeaway is this: this is not a professional grade machine so chill out. If you’re an OCD creative like me you have to calm down when the output isn’t perfect. It’s handmade and should look like love and personal creativity went into it, and that makes it beautiful. Let me know if this post helps you. Please share your thoughts and any other tips that have worked for you. Let’s help each other make classy, pretty things. So I’ve received a few comments about my notes about using coated paper. I apologize for any confusion. 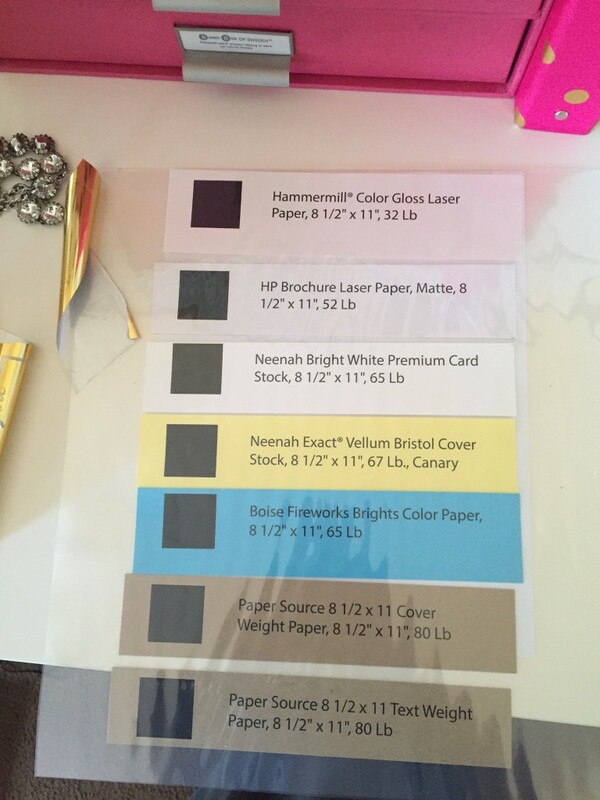 The coated paper that comes with the HS MINC Kit is like a glossy paper. So I should say “glossy” and not coated when referring to that type of paper. It’s similar to laser jet paper you can buy in-store. The paper that seems to get the best consistency that I like isn’t so much “coated” but is ACID-FREE. I find that acid-free paper works the best. Now I know I talk about The Paper Source paper being my favorite paper, but it doesn’t give allow for consistent coverage with the MINC. On their site, they say their paper is Acid-Free as well so I’m not sure why it doesn’t work, but I will keep digging into this and will share what paper works the best. Stay tuned and thanks for your questions. I hope this clears a few things up! Get The Goods & Get Crafting! Totally Helped me out!!!!! so very happy i have read this! My foil is applying nicely, but the paper has ripples. Have you had any issue with this? Thank you that totally helped. I am going to buy the cardstock you mentioned and different foil! Hi! I’m researching because I want to get a foil applicator machine. 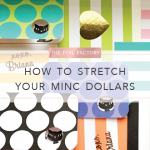 I would love to know if the Minc is the best one out there or if I should be looking for something else. I live in Chile, so, whatever I get has to be “the machine” because I can’t return it. I have a very simple laser printer, a Brother (monochrome). But I guess it will work. I want to foil my own designs and reading everywhere I have this feeling that the Minc wants me to use only their stuff! Until I read your post, which makes me want it more. I’d be very grateful if you could help me telling me more brands! It’s really expensive to bring stuff like this so I must choose the right one! Hi Shanine, I use the Canon LBC6030w. Here’s a link to it. Let me know if you need any other help. ( = Good luck! Thank you so much for this excellent article. Answered my questions about the MINC vs others. I will definitely buy a MINC but a small one as my use will be for smaller stuff. I think by your article that that the Hammermill Color Gloss Laser Paper and the HP Brochure Paper 52 lb are the best. Any other suggestions? TIA. And, once again, very honest and thorough report. So I’m confused as to what paper worked best? The Hammermill Color Laser Gloss in the photos (at 32lbs cover, isn’t it thin??) or the GP 110lb thats in the link? Honestly, I’m finding that if I use **copy paper as my carrier sheet** (and not the clear plastic sleeve), 65 lb card stock from Michaels (the neon pack) is foiling well at 2 or 3 in the MINC and even my Neenah Classic Crest 80 lb Solar White does well on 3, although I do get that “aura” effect if I don’t trim my foil well. Hi Amber ! what great post TAHN YOU…. sending you some paper love from Colombia ! Your post helped me a lot to solved some doubts I had about my MINC, still i´m wondering if i´m using the wrong printer or paper cuz not only do I get a not so even foil on my work, but it´s also living me sparkles through the hole project in areas that are not printed, I´m using a majestic paper (with a shimmering surfaces and a 250gr) and a hp LaserJet printer. Any advice will be great ! …. and once again thank you for such a useful post !!!! Hi Abril, glad to help. So there are some easy ways to solve your problems. First you want to use a laser printer not an inkjet. The foil is toner reactive, so you need to use a toner based printer, like a laser printer to get the desired effect. Second is the paper you’re using coated? It looks like it might be from the quick Google search I did on it. If so, you may need to use another uncoated paper. Coated paper doesn’t react well with the print out and foil. Now some of the new mediums may work on the coated paper like the Reactive spray and paint, but it sounds like you want to print. I hope that helps. Let me know if these fixes help you out. ( – Good luck!! Hello. I am a lady in the uk. Trying to get on with using minc. And failing terribly. Do you have to let your laser print dry before using your minc? Just thought this might be a problem thas adding to using it. Awww I’m sorry Kate to hear about your MINC troubles. I haven’t had to really wait for my printout to dry before MINC-ing. Since it is a laser printer, my printouts are already pretty dry. 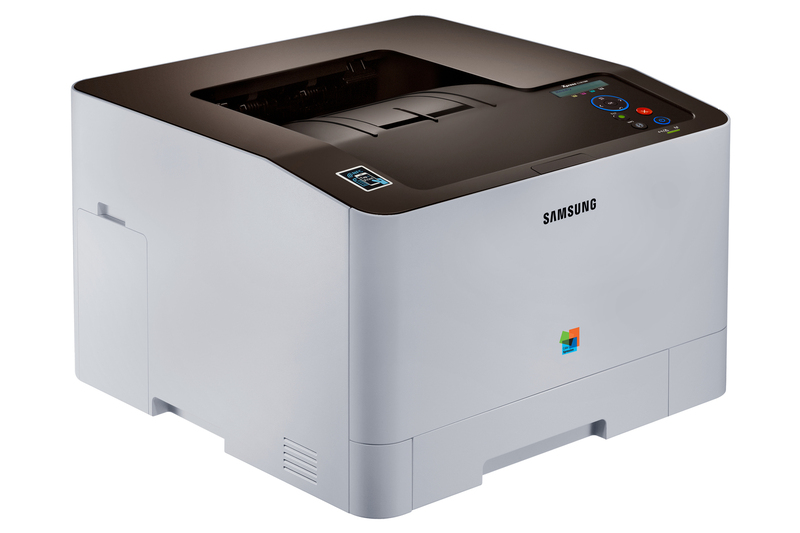 Are you using a monochrome laser printer or multicolor? The multicolor doesn’t work that well. Believe it or not the black formulas are not the same between the monochrome and color printers. What kind of paper are you using? Can you tell me step by step what you’re doing? Feel free to email me if you want to get into the details. ( = amber@pinkimono.com! This is exactly the post I’ve been looking for!! Absolutely perfect balance of insight! I’m amidst wedding planing and have just decided to DIY wedding invitations (for roughly 300). I have the brother monochrome laser printer, and I ordered the Minc + iCraft foils, and now i’m trying to nail down the stationery– I absolutely love the ivory invitations with deckle edge (Strathmore, etc. ), but I’m afraid it’s not smooth enough to pick up the foil. Have you tried any pearlescent papers? Unfortunately I’m in a bit of a time crunch, otherwise I’d order samples. Any recs super welcome! Lastly, have you tried to only foil certain areas with ink? If, for instance, I only wanted certain text to come out gold, does the re-print ruin the non-foiled areas? First, thank you so much for this excellent post. It was a huge help. I need to foil only in certain spots also and was wondering if the gold foil would damage my laser printer (when the sheet is being run through again)? My laser printer was pretty pricey so I hate to damage it, but I can’t figure out a better way to do foil on a colored design/background other than going inkjet then laser then foil. Thank you so much! I will definitely not run the foil back through my printer. I actually have an HP color laser and as your article said, it produced very poor results (black spots showing through). I noticed that Heidi Swapp recommends a HP LaserJet P1102. I am trying to choose between that one and the Canon imageCLASS LBP6030w you recommend. Do you think they would perform equally? I was not sure if you had tried the HP P1102 also. I think this post has possibly just saved my wedding hahaa! 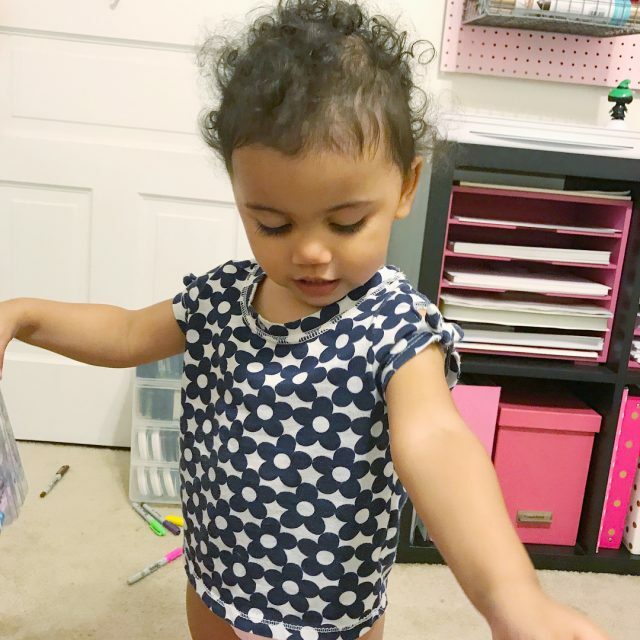 I had tried so many different printers/papers/machines/foils and had A LOT of craft tears! I’m going to take all your tips on board and skip all the way to the printer shop and hope for the absolute best.. Then I can finally get my save the dates underway! … Will let you know how it turns out! Thank you from London, UK! Thanks for this great article! Have been running around town trying to get the right paper for my wedding menus cause nothing seemed to work properly with the foil and now I know why!! I am thinking of buying the printer you recommended but was just wondering what is the heaviest card stock you have managed to put through it? Im hoping to use 200 to 300 gsm (I guess 200 gsm must be around 110 lbs) and was wondering if you have managed with that or had any issues? Trying to scour the internet for my answer and I can’t find it.. I purchased some of the thermo decofoil to try with my minc machine (laser print, smooth paper) and it did not adhere! i ran it through with a semi-hot setting…. 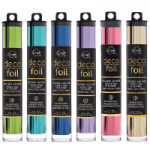 what setting did you have your minc set at for the thermo deco foil to work? many thanks! Hi Sandy, here is a link to the foil I use: http://www.thermowebonline.com/c/new-products_deco-foil_foil-transfer-sheets.The only things I can think of is to turn up your heat settings. For cardstock or photo paper I use 4 for my heat. 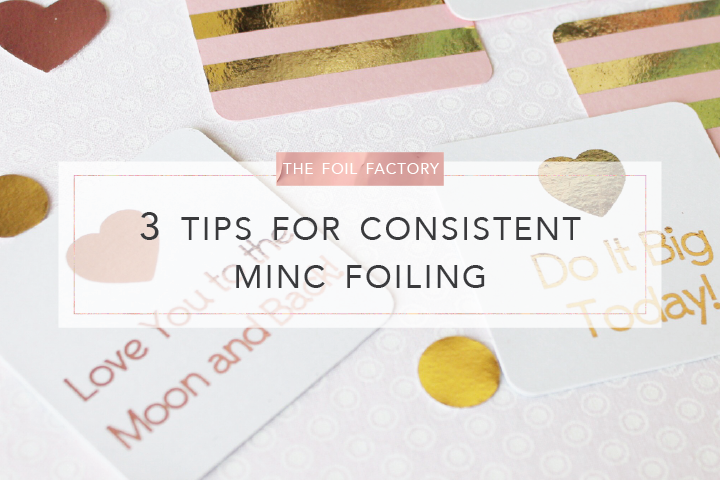 Also, What side of the foil are you using when you send it through the MINC FA? Are you placing the non-color side onto your print or the color side? You want to place the non-color side against your work. Other than that I can’t think of why it wouldn’t work. Maybe you can send me some additional details and I can help you out. I have bought this machine from c&c u.k. I am now on my third yes third one, I have found that no matter what paper or card I use it comes out rippled like the sand at the seaside. I dont want to send another one back so does anyone have a solution to my problem please? Hi Rena, what kind of paper are you using? I had another question about this same issue. Are you using the sleeve for your projects? If so, let me know. I’ll follow up on why so many people are having this issue. I’m very much now at the craft tears stage! I have finally got the foil to adhere almost perfect to the laser designs (160gsm cardstock) but now the paper has ripples or indents in it from what I can tell if roller marks? If the ripples weren’t there it would be great :-(! Hi Tracy, it may be that your paper is too thick for your printer or it could just be the printer itself. I would call the manufacturer to find out. I had that problem with my Canon for a bit and it turned out that I was using paper that was too thick. If you’re getting roller marks from your MINC, I would contact American Crafts about the MINC being faulty. I hope that helps. Let me know how it turns out! Good luck! Please help me! I am looking at buying this machine for business cards. I want to use mount board as it is very thick and I love a quality, thick business card. Do you think this machine will be any good for what I want to do and will mount board work? If not, do you know of an alternative very thick card I can use? I am in England, UK! Hi Bell, I think as long as the paper itself is smooth, you should be fine. I am concerned that the paper you’re using may be too thick to clear the actual machine. I’m going to research the clearance on the machine and find out the limits on paper thickness. Stay tuned. I’ll post what I find. I’m so glad I stumbled across this site. I was wondering if you maybe experienced this problem with the Minc like I have. When I run my paper through the roller tries to eat it, as in it doesn’t come out the other side, but goes under the roller. I have to put it in reverse and then forward again just to get it out and my project ends up being ruined. Have you ever experienced this and do you happen to know what may cause it? Hi Melody, glad you found me too. ( = So are you putting your paper in the sleeve or just running it through the machine as is? It shouldn’t crinkle if you’re using the sleeve. If you are using the sleeve and your work still crinkles, I would exchange your machine for another one. You shouldn’t be having this issue in my opinion. You may also want to consider the heat setting for your work. Too much heat may be destroying the paper. I just found that my MINC crinkles/destroys my work when I use it as a laminator for 3 mil laminate (without the sleeve). I think the machine gets too hot to use thinner laminate pouches. So I use 5 mil and above and it works perfectly. I hope this helps. Let me know if you end up exchanging your machine. So I’ve been running a business making invitations for clients and brides using this process printing on 300gsm card stock. I use a GBC Blizzard Laminator which works perfectly. I then get the laser printing done at a local digital printing store (through their laser Monochrome copier which is a Canon ImageRunner) and then go home and add the foil (not taped) over the whole design area and run it through my laminator. This works perfectly and has close to no error in the foil reacting to the toner / sticking, only error when I am working too quickly and the foil creases or folds as it runs through. Now, my local printing store who has the Canon has closed down and I have been searching for a new one that works as well but all of the printing houses in my area are now using Fuji Xerox’s or Konica Minolta’s and apparently I have learnt that now laser printer toners in newer machines are more “Eco-friendly” resulting in some or few ingredients missing so the foil does not stick as well. Helpppp? I love making invitations and want to get that perfect result again. I am currently using a colour Fuji Xerox and printing in CMYK which I find is getting a good result, but not as good as the Canon I used before. Any ideas on how I can better this? In summary, after lots of trial an error I’ve found it comes down to perhaps the toner not being as good as the old stuff (or Canons as I see that’s what you’ve gone with?) resulting in the foil not adhering as well. Can anyone else relate? So I don’t have an answer yet, but I I’m going to do a little research on this for you and see if I can help. I’ll post my finding soon. I also see you said you use a color printer. I’m guessing the reason you had great results before is because you had your work printed on a monochrome versus color. I found that the monochrome printers worked best. Are you printing in color or just B&W? 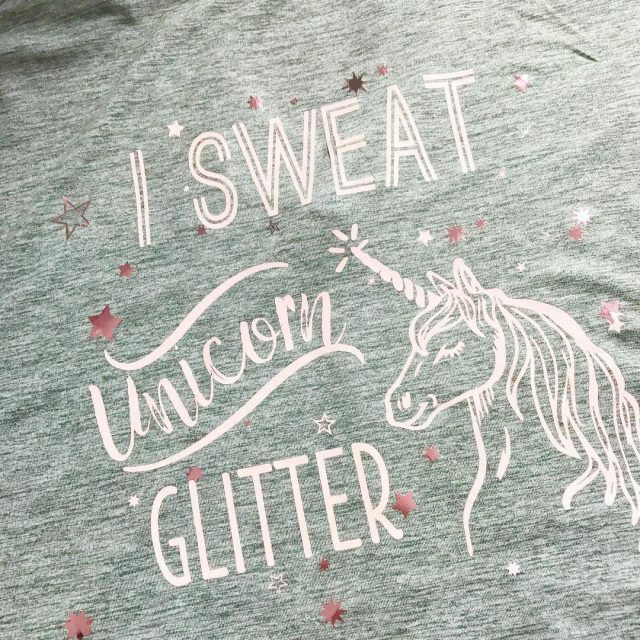 If you’re printing and foiling in color that may be part of the problem too. Also, how do you get the foil to stick only to the text area you want it too? I’d love to make foil prints / invitations with a graphic / image background but when attempted it results in the foil sticking to the whole area and I cry craft tears. Step 1: Print what I DON’T want foiled on an INK JET printer (probably your image/background). Step 2: Print my item to be foiled on the LASER printer. Step 3: Send my print through the MINC. Depending on the paper I use, sometimes foil flecks will adhere to parts of the paper that were printed on the ink jet paper. I cry craft tear when that happens. ( = I find that happens when the MINC Foil Applicator is too hot, or I’ve been working the machine too long. Usually, I just power off for a bit, let it cool down and then start again and that helps to cut down on the flecking. You’ll have to play around with this technique but it does work. Hope this helps. Hi Priscilla, I was just at The Paper Source this weekend chatting about foiling on their papers. Turns out, I’m not the only customer who finds it challenging to get perfect coverage on their papers. It may be that their paper is too soft. So unfortunately, I don’t have a great tip for printing and foiling on their envelopes with excellent coverage. However, if I am going to print and foil with Paper Source paper, the Therm O Web Deco foil gives me the best results for decent coverage. But if you want to try something different to add foil to your PS envelopes try the MINC Reactive Paint or Mist. These products dry white to clear respectively. You don’t really see any missed coverage when you foil with them like you can with laser printing. However, I recommend using these products for projects that don’t require accuracy. Here’s a pic of one of my items in my shop where I use the reactive spray. The foil colors are amazing against the PS papers: https://www.etsy.com/listing/244719503/kids-lunch-notes-to-make-lunch-time?ref=shop_home_active_5. Think of the fun envelopes you could make with this technique. I hope this helps! I live in the UK and am tearing my hair out trying to find a laser printer that will print on card up to 250gsm (approx 90lbs) and produce good foiling results. I am on my second laser printer which I bought only a few weeks ago – an OKI 610 colour laser which OKI recommended for what I was wanting to use it for. It prints beautifully on heavy cardstock – it has taken 300gsm (110lb) easily, but the foiling results are poor, giving a speckled black finish. Wish I’d seen your tip about monochrome laser toners before spending over £300 on the OKI to still not be able to foil. 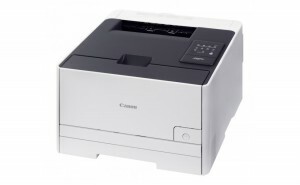 Does the Canon printer you use print on heavy cardstock 90/100 lb? I just can’t seem to find a printer that both prints on heavy cardstock and foils. I’m not sure if you have these brands in the UK. Keep in mind Canon doesn’t list the LBP 6030w as being able to handle 110 lb paper, but depending on the caliper, you can use it. Good luck and let me know how it turns out. You have saved me from going crazy!!!! I too am a Paper Source girl 😉. I’ve been working on some save the dates for a client (I’m an event planner 😬- love my life). 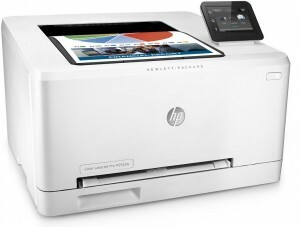 I just bought this fancy HP Laser Jet Pro MFP M477fnw (on sale at micro center) b’cuz my other HP’s ink was lifting – I don’t think it was really meant for heavy cardstock. And as I’m fooling my newly printed envelopes I’m getting spotty coverage! I’ve put it through a few times and still not even, perfect or making my heart sing😩!!! But you gave me my aha moment … this fancy dancy printer is color and not monochrome like my other one. 😔 I’m now thinking I have to buy another monochrome printer just to be able to foil on all my Paper Source goods. Now that I have bought the Minc, thanks to you and also some iDeco foil plus smooth paper, I am ready for the printer. We have an old monochrome that just does print black enough. And, it is just plain tired. 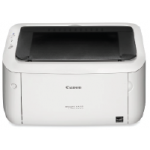 So you are recommending the Canon imageCLASS LBP6030W Laser Printer? Hope I am correct. Thank you! Hi, I want to know how can I print some parts of mi design in BLACK and just one elements with the gold foil. For example, if I have a pattern in BLACK and in the middle of the design I have a logo. And I ONLY want the logo in golden foil but not the pattern that is in black. Hi Sofia, I would recommend printing the part of your design that you want in black on an ink jet printer and the logo on a laser printer. 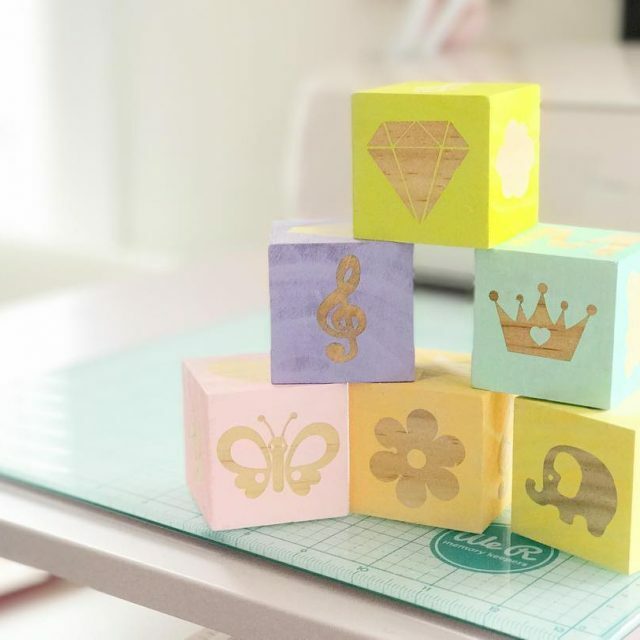 Or depending on how intricate your design is, you may be able to print the entire design and cover the parts you don’t want foiled with parchment paper and only leave the part you want to foil exposed. Hope this helps. Let me know if you need something more specific and email me at amber@pinkimono.com. Good luck! thank you for the post. 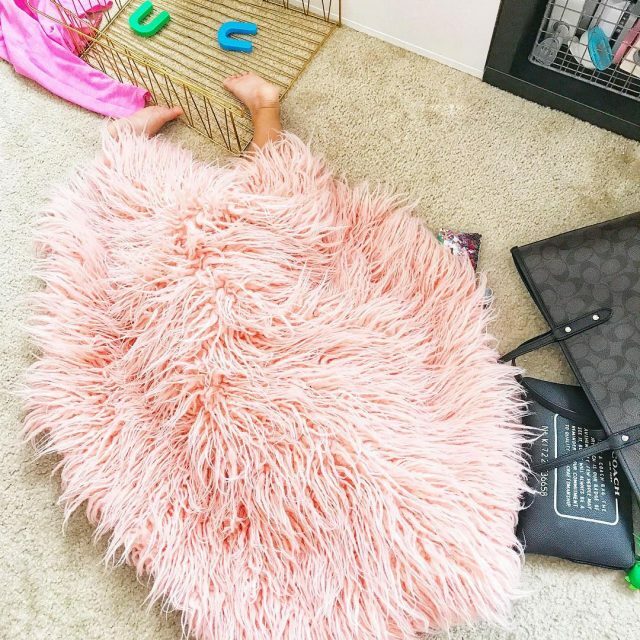 I tried my Minc for the first time last night. I only have a inkjet printer, so I went to my office max and had my design printed on the brown value pack paper from Michaels. I did not get good coverage with the foil. I had seen on a youtube video that you could put more foil on the toner and run it through again. That did not work. I had been researching laser printers, and the one I had decided on is the same Cannon you have. It’s on my christmas list! I know how that goes when the paper you want doesn’t know with the MINC. You just want to scream. It does take a little trial and error but once you’re there, it’s craftastic bliss. So I use the Recollections cardstock in the 65lb not 100lb because my Canon won’t take the heavy weight. But i get really nice coverage on the 65lb. Hopefully that will get the job done for you. Let me know! Good luck! Hiii, great post!! Thank you! I just got the minc machine and works great! Im just wondering how do you work your cards (striped xmas ones) with the laser and foiling? Do you print the stripes on a desk jet and later print with laser whats to be foiled? Im wondering how to work with these kind of projects. Your post mentioned using a coated paper, but then in your comments to people you say to not use a coated paper. I wanted to use a pearlescent paper that appears to be coated. Do you suggest coated or not? Also, if you buy black paper and print on it and foil, does that work or does the foil adhere to the black paper? I apologize for the confusion. 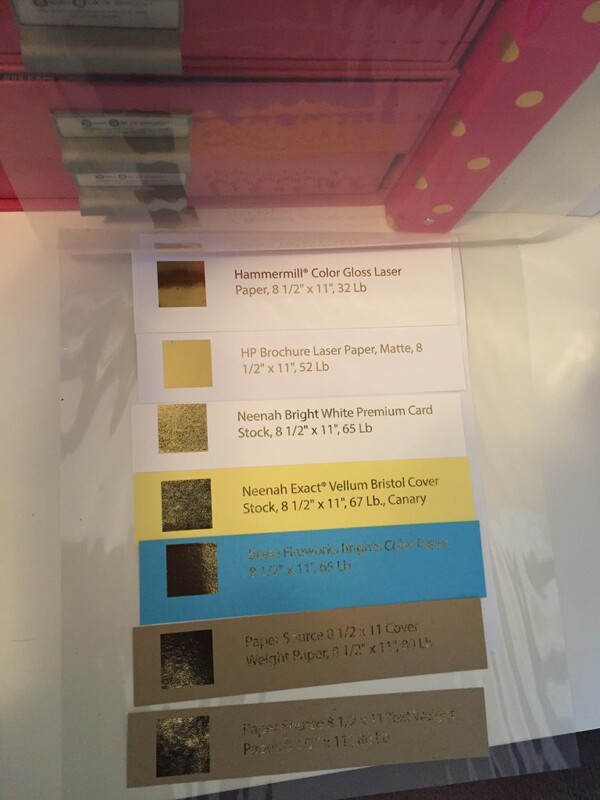 The coated paper that comes with the MINC kit works. As I’m experimenting with different papers I’m finding it isn’t so much a coating versus the paper being acid free. So I apologize about using the term “coated”. I should say, acid-free paper works the best. Here’s a post that goes a bit more into acid-free paper and what that means from Strathmore papers. 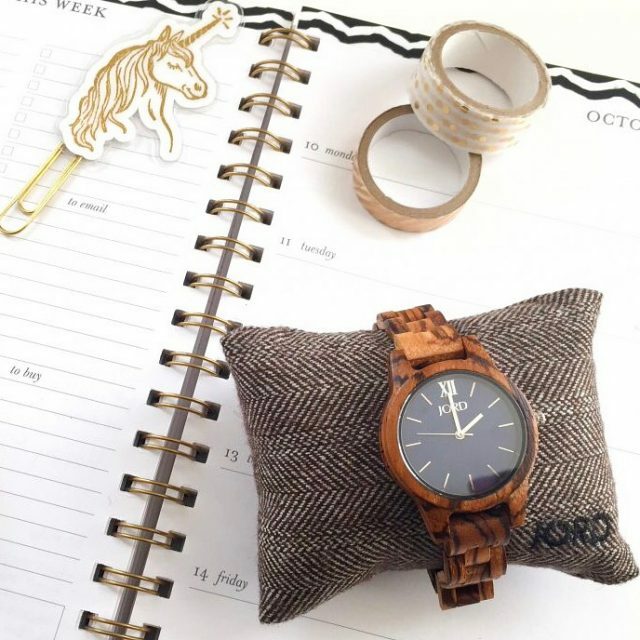 (Love this brand for the MINC.) With that being said, I check for acid-free on my paper now when I plan on using it with my MINC. I get really great coverage. However, The Paper Source Paper that I love to use says they are acid-free so I don’t know why it doesn’t work well with the MINC. I’ve asked in-store and unfortunately some of the fabulous folks there don’t know why either. ) = I hope this helps and I’ll update my post so hopefully there will be less confusion. ( = Thanks and good luck! HI there! Thank you so much for your post, really helpful. I make greeting cards and currently I use a sheet of printer paper to cover areas I don’t want foiled, but the heat of the Minc causes the ink to stick to the carrier sheet and looks a little faded when I peel it away. I just saw in your comment to someone else that you run it first through an inkjet printer and then again through a laser printer.. do you have any issues with alignment? Or ink from the inkjet adhering to your plastic carrier sheets? So yes, the alignment is off when using two different printers. (I use Canons for ink and laser and they are still off.) It used to drive me crazy, but then I accepted it. So you have to play around with your printers and art file if you want perfectly aligned designs. Otherwise, you may have to do what I did and reconsider your design so you can account for the misalignment. However, when I run my work through the ink jet first and then the laser printer, I avoid losing some of the toner by covering my design with parchment paper and then putting it in the foiling sleeve. (When I’m lazy I use regular paper, but the ink will adhere to that.) I’m sorry I don’t have abetter answer on the alignment (Let me know if you figure something out) but hopefully the parchment paper will help you with the flaking toner! Good luck and I hope you enjoyed the holidays! 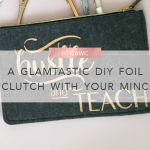 Secondly, have you tried foiling with the MINC toner pen and does it fleck? Can’t wait to hear from you! Thanks! Hi Tiffany, that’s so sad that it isn’t in Germany. I hope that changes in 2017! So I got my MINC from JOANN, but you can find them on Amazon too. As for the pen, I have used it and the other MINC mediums. They come out really nice, but I don’t have a steady hand so only use them sparingly. (Hence I do most of my work in Illustrator.) 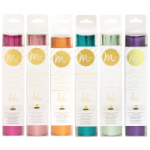 Personally I prefer the Heidi Swapp Minc Liquid Toner Art Screen Ink 1.7 Ounce as an alternative to printing. I use it for my lunch notes I sell. The medium is heavy so it’s consistent. Email me at amber@pinkimono.com if you want me to send you some pics of what it looks like. Hope this helps! Hi Amber! 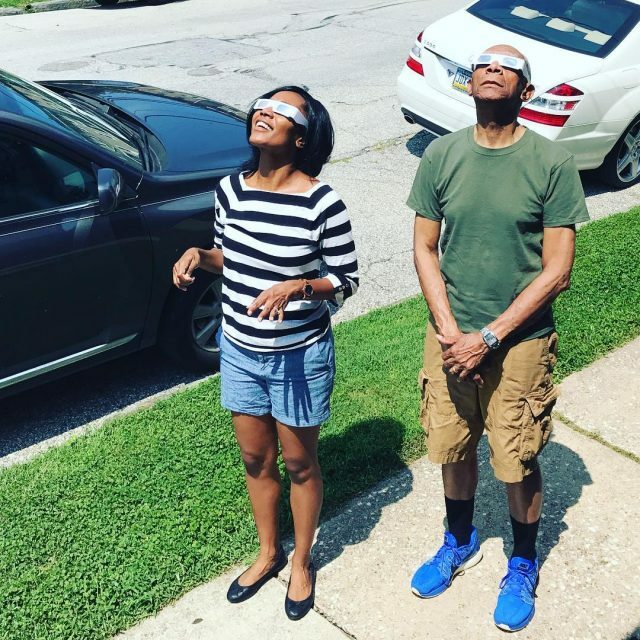 This post was definitely helpful! I was reading through a bunch of the comments, but I may have missed it if it was already mentioned… Do you have a recommendation for colored stock that works well? I’d love to find a blush stock. Also I wondered if there’s a black stock that would work. Thanks so much! I’ll be perusing your blog for more helpful stuff! Ah Brittany! I hear you on the color stock. So as a fluke I found some at Ikea int he kid section. This isn’t a long term solution, but you’ve got me thinking. I emailed Georgia Pacific (http://georgiapacificpaper.com/contact-us.html) to see if they have any paper like their cardstock in any colors other than pink or could recommend something similar. Hopefully I’ll know something soon. Hi Brittany, while I was answering another question I thought of another brand that may work. I use the Recollections brand by Michaels for my cards in the 65lb weight and that works in my printer. Usually I print on white, but occasionally I do use color and it works fairly well. Also, if you can get your hands on some Martha Stewart Essential Paper pad, then you are golden. I use it from time to time and love it. (You have to cut it down to first your printer though.) I always get consistent coverage. I think it’s because it is acid free. Hi Pinkimono, great article thanks for the tips. Been having a nightmare trying to foil some family holiday cards :(. I was actually looking at the Heidi Swapp samples that came and thought it was a matte coated paper (I think you proved me wrong there) so I ordered some on Amazon last night. From what you’ve said its actually semi-gloss but in the article you recommended using a coated paper but when you replied to a few of the other ladies you said coated paper was a no go! I’m confused…help please! Hi Mika, Sorry for the confusion. I should definitely clarify. The coated paper like what comes with the HS MINC Kit works. As I’m experimenting with different papers I’m finding it isn’t so much a coating versus the paper being acid free. So I apologize about using the term “coated”. I should say, acid-free paper works the best. However, The Paper Source paper that I love to use says they are acid-free so I don’t know why it doesn’t work well with the MINC. I’ve asked in-store and unfortunately some of the fabulous folks there don’t know why either. ) = I think once you find a brand of paper that works stick with it. But if you’re unsure about it, try to get a sample or make sure the paper can be returned. For example, Red River Paper provides a sample pack of papers you can test out if you want to try something beyond the normal paper you can find in your local big box store. Hope that helps and I’m sorry for the confusion. Thanks so much for replying!. I have managed to find a paper (here in the UK) that is smooth and gives great results. Not sure if it’s acid-free but I’ve found that the really smooth cardstock works well for me when foiling. Thanks again! Great article, thanks so much for sharing all of this info! I saw in your question thread that you were going to be looking into comparable printers that could handle thicker paper for invitations, but didn’t see a follow up post. Just wondering if you had found a printer that works great and can handle thicker paper. I was wondering what your thoughts were on the Samsung Monochrome printer? I see that you chose the Canon at the end, but started with a Samsung. I’m debating on the investment myself, along with the Minc machine (I would be using it as a compliment to my Silhouette Cameo). I have an inkjet printer, and would really only be purchasing the laser jet for foil projects that I can’t do or don’t want to do on my Cameo. Just so other readers can see this, I have had great success when following suggestions by Amber, on successful foiling. I got the minc, a new monochrome printer, smooth paper and iDeco foil. So pleased with the results. Way to go Amber! This really helped me. I’m starting my own stationery line and after getting high quotes from the printers for foiling, I decided to DIY my foiling method. Thanks for the tips, now I know exactly what to do without having to experiment. Thanks so much. I so appreciate this post! I got the MINC for Christmas so that I could foil my hand lettered designs and it’s been making me want to pull my hair out! I’m not looking to replace the laser printer I just bought, but I am definitely going to try the cardstock and the foil you suggested! Thanks for your post. I just got my Minc the other day and I wanted to know if the ideco foil work with the Minc and which pinter to get. I know this is an older post but thank you so much for this info! I bought a minc and the same canon laser printer you mention a few months ago, on black friday. I kept trying to print on random card stock I already had at home, but was so disappointed and frustrated with the results- i kept getting uneven foiling and lots of flecks of toner showing through. Serious craft tears. Thank you so much for this. I really wanted a Minc but the reviews just weren’t positive. Once I read your comprehensive report, the light dawned. Since I have a very inexpensive little HP monochrome laser printer and am marginally adventurous, I took the plunge. I couldn’t be happier. I’ve found that 110 lb. cardstock is too heavy for my printer, which is another thing to watch with the lower end monochromes. Just for fun, I started experimenting and found that I can even use regular, cheap 20 lb. copy paper and get a great foil coverage with no breaks or crinkles. I just dropped down to heat setting 2. I’m blown away. Just as long as I stay under 70 lb. paper, I’m golden. Just wanted to chime in with a few observations for anybody hesitating over the purchase. Hi! I keep getting little spots on my designs, even when it has a really great printing quality (laser printer).. Why does this happens? And, which printer did you buy after the 5 that you returned? Hi Ana, I purchased the Canon LBC6030w. I STILL LOVE IT! As for why you’re getting little spots, it could be that your printer nozzle needs to be cleaned. I’m guessing it’s depositing extra traces of toner on your work when you’re printing. I would try this to see if it’s the printer. If you can, buy a small amount of one of the Heidi Swapp MINC mediums. (I love and use them all.) For example, try the Reactive Paint. Paint a few strokes on the same type of paper you’ve been printing on. Run it through the applicator with the same settings you’ve been using for your printed work. If you’re still getting specks on your paper, then maybe you need to try a different paper or heat setting. Sometimes I get flecks if my setting is too high or if I’m not using a really smooth paper. If you don’t get the foil flecks on the paper, then I’m going to go back to my first thought, the printer. You’ll have to contact the company who made your printer and ask them why your printer is depositing toner all over the place. This happened to me with the Canon when I was getting low on toner with the starter cartridge. Canon’s customer service was great in helping me solve the problem. Let me know how it turns out! Good luck! Hi there! I’m interested to know how well gold foil would work on navy cardstock. Have you tried paper that dark? I know the foil will adhere to the printed area only, but I’m worried there might be something in the paper dye that might also cause a reaction. Hi Christina, I’m liking that combination. ( = So I have used foil on black and dark color cardstock. In particular, I’ve used the MALA Paper inj black and blue from Ikea with great success. Not sure if it matters that their paper is Chlorine Free Bleached paper, but I’ve also had great luck with acid free, smooth texture cardstock when foiling. I find the smoother the paper, the better the foil lays. Your best bet is to get a sample piece if possible before investing heavily into that paper stock. Thanks for your tips! They were super helpful! I am foiling some items for a wedding today and don’t have a monochromatic printer but I know my hp mfp m277dw laser printer which I looooove, has a monochrome option in the settings… will definitely try it out! 1. 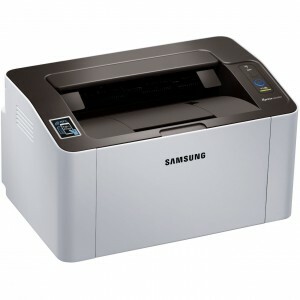 Does the Cannon imageCLASS LBP6030w Monochrome Printer you recommend work with heavy cardstock? 2. I love how the foil looks when applied to Brazzill cardstock, but this brand sometimes gets jammed in the copiers at FedEx. Do you have a recommendation for a brand that carries heavy, high quality, smooth cardstock? Hi Kia, I would love to see some of your work! Share with me, please! I love seeing pretty papers! ( = As for your questions, #1. The 6030w is not great for thick paper. It never picks it up. I’m hoping to upgrade to a monochrome printer that can accommodate thicker paper from Canon soon. HI CANON, if you’re reading this, hook a girl up, please! ( = (Why not ask, right?) #2: This one is tricky. I’m still on the hunt for the perfect cardstock that isn’t too heavy or too flimsy. I’m thinking of trying this cardstock from Strathmore Papers. I use some of their papers for cards with the foil, it’s more of a photo paper, but it foils beautifully. If you try this paper, let me know how it turns out. ( = Good luck! I can’t thank you enough for this post. I was literally ready to throw my MINC away and had even been working with their customer service on why I was having such more coverage. I switched to the paper you recommended and the other brand foil and I have had nothing but success!!! Thank you thank you thank you!!! This post is brilliant!! I have been wanting to foil for ages but have always had a problem with speckaled prints, I don’t have a MINC machine but a first edition and even with their paper and foil it still was patchy!! So happy I have come accros your acticle so that I can invest in a monochrome laser printer instead of the colour one that I have. Such a helpful post! I’ve just bought a MINC as a customer requested one of my A3 designs in Rose Gold. After a $1200 quote from my local printer I investigated how to do myself. Have only foiled a few of my designs so far. Getting speckled results so am reading through the comments on this post to find my solution before I ask you and you have to repeat yourself lol. Again a great post and am hoping I can foil my designs to a high quality. I was wondering if you could help me out, im in the UK and looking to buy a printer because im buying the minc foiling machine i was going to buy the hp laser jet pro until i saw your post about it and then changed my mind : ) , i read the canon is/was good i was wondering if you ever found another one after this was wrote, are you still using the same canon or you did you find another one? also do you know any papers that are good in the uk? Hi, so I’m working on a post on this exact issue. However for now I’m still going strong with the Canon lbp 6030w. I have to admit, I really love the consistency of Canon over the other printers I’ve used so far. However if I find something different I’ll update this post or create a new one. Hope this helps! Hi, I need your help. I am a newbie in Etsy and starting to sell wedding invitation card with gold foil printing. May I ask you what is the best paper weight for invitation card? Should I use glossy paper or coated paper? Secondly, I notice you are not sending cards to overseas, may I know why? any issues sending cards abroad? There is not many card stock supplier in Australia that I know of, Do you have any suggestion to buy good quality paper for foil printing business? Hi, Edmund, I just updated my shop and I am shipping overseas! ( = As for a good cardstock supplier, that is on my list of to dos – find a paper an envelope supplier. As for a good paper weight, I used the paper source for all of my wedding and baby shower items. I will say their paper doesn’t interact well with the toner reactive foil. The smoother the paper the better, so glossy would work well. I wish I could be more helpful. Hopefully, I’ll have a list of paper suppliers and brand soon! Hi, Another question, I bought a Minc Foil Applicator, do you know how durable of this machine? Can it handle 30 pcs A4 per day? Hi Edmund, I don’t know. That sounds like you’re running a real print shop there. I don’t think the machine was designed for that purpose, but I would contact American Crafts and ask them. I know I’ve had my machine for almost 2 years and it’s still going strong, but I don’t use it every day. hi, I got the Canon printer and it worked almost perfectly the first time around. I had a few papers that printed off the margins. I got it back out to use again (only a little over a month later) and my paper keeps getting jammed. I have done everything I could think of but it is not working. Have you run into any similar issues? Hmmm, I would call Canon and tell them that you think the printer is damaged, Victoria. I just contacted them about my printer cartridge. Apparently, it is damaged because it is printing a streaky line on the right side. I’m hoping someone there will replace it because it is a full cartridge. I would call them till you get a great customer service rep and let them know something must be wrong and it should be replaced. (They may replace it with a refurbished one, so check your warranty.) Also, it could be the type of paper you’re using. Unfortunately, this guy can’t take really thick cardstock. 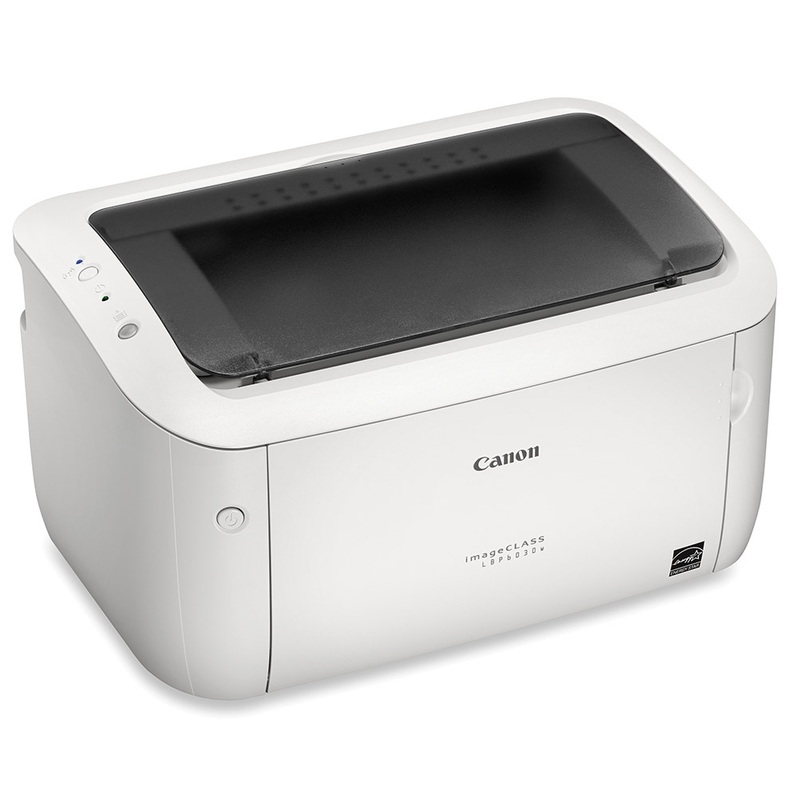 Which Canon printer did you get? Please help me, the craft tears are flowing and I do not know what it is I am doing wrong! I have a fellows laminator, brothers monochrome laser printer and 200gsm card. The printing is fine but when it goes through the laminator it is coming out awful! I’m trying to do save the dates for the wedding and I’m just all out of ideas and then I came across this forum! I thought it was the printer I was using at work so went and got the brothers but it seems to be having the same effect. It is covering the whole of the foil area with foil and showing the rectangular outline of where I have put it as well as flecks of gold just everywhere. I’m hoping you are still reading these comments because I wonder if there is any way to remove the excess foil that applies to the non toner area of the paper? Hi, I am so glad I read this! This has helped me a lot. Thankyou so much! Got ALL the goods you recommended, and yes I mean all and followed to the T. The Heidi Swapp is wrinkling my paper bad. I am using the Georgia Pacific Bright Cardstock from Wal-Mart that you suggested, crinkle city. Any suggestions are greatly appreciated. Happy Thanksgiving! Thanks much. I am so sorry to hear that. Are you using the clear sleeve? The Canon Laser Printer recommended in your blog has gotten horrible reviews on Canon’s website…is this still the same printer you recommend and/or use? Thanks greatly! Hi, this post is super informative. Thanks so much for sharing. 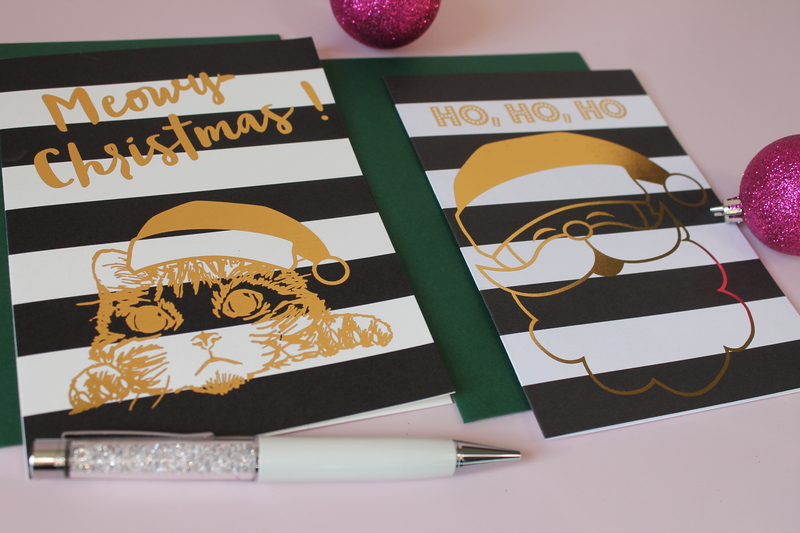 I’m just researching the best ways to foil and I’m wondering how you created the black and white stripe holiday cards with just the graphics in foil (without foiling the black stripe)? Did you create the stripe on an ink jet and then run another pass through the laser printer? I’d love to understand how to control where the foil is placed. Thanks! Not mentioned on any of the comments but I have read that the laser printer should be set on its DARKEST setting so that it will put down the most toner. Some laser printers may need you to download an app to change the setting it its firmware. This is probably why you’re getting the best results with the Cannon printer. Have you tried changing these settings with your other printers? I’m also thinking that maybe moisture is a problem. Perhaps the paper could be run through the Minc or a laminator first (once or twice) just before printing on it in order to remove any moisture that the paper may have absorbed from the air, then foil it soon after printing. When not being used, store the paper in air-tight containers with desiccant. I remember when I was in the army and toner copiers were just coming out, we had to store the paper in cabinets with a light bulb inside to keep the paper dry. I should have mentioned: I’m just starting out. Hello! I would like to know what kind of printer I should use for color printing so that the foil only sticks to some parts and not the entire print out. Do you have any ideas? Like a wedding card with color parts and black parts with the foil sticking only to the Black parts and not the entire card. That’s a tricky question. I didn’t have any luck using the color laser printers with the foil. The formula is different apparently than the all black toner, at least in the printers I used. When I need to use a combo, I use an inkjet printer for the parts that I don’t want to be foiled and then send the same paper through my laser printer and then foil. It can be a little tricky because the alignment between my printers is off slightly so I have to play around, but eventually, it works out. (I use a ton of test papers in the process.) So you could use the inkjet for the color parts that you don’t want to be foiled and then send the invitation through the foil printer. Again, use lots of practice sheets before you use your real paper. Good lick and congrats! I am printing names on black envelopes with my laser printer, but I do not know what weight the envelopes are. They are from Michaels and they come with the envelopes and invitations. The cards are card stock but the envelope is lighter and thinner. Is there a heat setting you recommend? And do you know if the foil will transfer on the envelope? Or is the envelope inkjet printed or w.e. Thank you! You are an absolute life saver. I tried using copier paper to replace the transfer folder and it worked!! Thank you so much. I stopped by your shop and love those shaker Valentine’s cards.